It is the only place like this in Białystok, maybe even in the whole Podlasie region. Not only due to precise combination of regional and European cuisine, but also for the choice of the highest quality products, Restaurant & Bar Cristal, as the only restaurant in Podlasie, received recommendation of the Slow Food organization. Our restaurant was given the most points among all restaurants located in Podlasie in the Gault & Millau Poland 2018 guide. 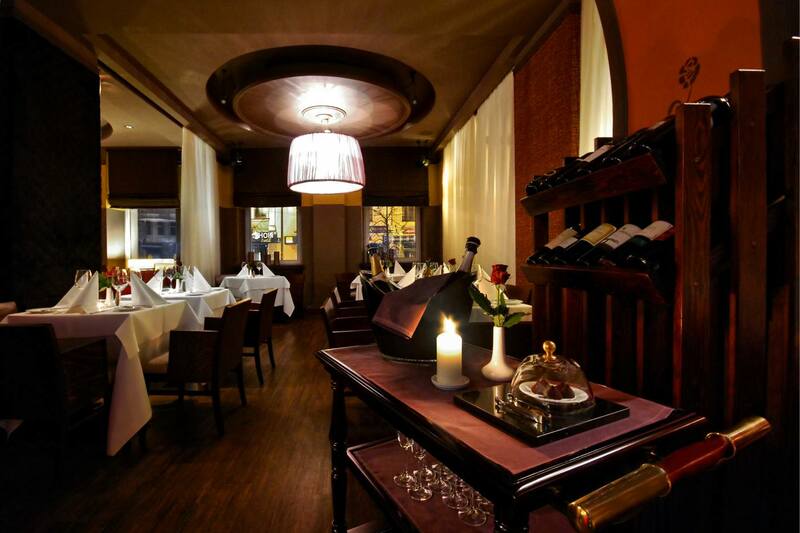 In 2018 the restaurant was also placed in the “Poland 100 Best Restaurants” guide. The person who stands behind Restaurant & Bar Cristal cuisine is Chef Łukasz Rakowski. The restaurant’s successes were crowned with the award for Best Breakfasts in the Best Western chain in Poland in 2017, prize which is supported by the opinions of our guests. Our cuisine never fails, as served combinations of flavours turn each visit in Restaurant & Bar Cristal into a special pleasure. Friendly atmosphere and excellent service ensure that both lunches and exquisite dinners stick out in the memory for a long time. Enthusiast of the Polish cuisine, especially Podlasie region. Łukasz started his career in gastronomy with an internship in Hotel Bristol as Karol Okrasa’s disciple. He perfected his skills also in one of the best restaurants in the country, Amber Room in Warsaw, run by Wojciech Modest Amaro. In 2012 he was nominated to the title of the “Chef – discovery of the year” by magazine „Kuchnia”. In 2015 Łukasz took up the position of Chef in the Restaurant & Bar Cristal and already a year after that has joined a tight circle of 34 Chefs and restaurants recommended by the Slow Food Poland organization. Moreover, in order to benefit from Łukasz’s culinary art, Regional Restaurant Żubrówka has also became his cooking arena. Dishes created by Rakowski may now be tasted both in Białystok and Białowieża. This outstanding Chef is fascinated by local and traditional products, starting from the widely known ones and finishing on those forgotten. Culinary tradition cultivated in his family from generations influenced him to the extent that regional products are base for each of his dishes and projects. Podlasie region from which he comes from, is for Łukasz a true treasure trove of flavours and aromas. Companies and private persons are invited to try our catering service. We serve parties, banquets, company meetings, as well as opulent galas and meetings on the high-level. We provide full catering service, starting with the idea for a menu adjusted to the occasion and finishing on the meal service for your guests during the whole event.